HERBERT NITSCH: HE DISCUSSES ITS DESCENT SNORKELING 10 PAGES. OLGA KURYLENKO 2 PAGES. SKATEBOARD: THE KICKFLIP 2 PAGES. THE BEST SPOTS OF THE PLANET 12 ATV PAGES. MAY 2013 FRENCH MAGAZINE, N ° 19, VERY GOOD CONDITION. 1999 SNAP BMX MAGAZINE MINT CONDITION. 220 TRIATHLON NOVEMBER 2018 ~ SWIM BIKE RUN MAGAZINE. ONLY READ ONCE IN VERY GOOD CLEAN CONDITION. 220 TRIATHLON OCTOBER 2018 ~ SWIM BIKE RUN MAGAZINE. 220 TRIATHLON SEPTEMBER 2018 ~ SWIM BIKE RUN MAGAZINE. BIKEMagazine, July 2016. HERE WE HAVE. 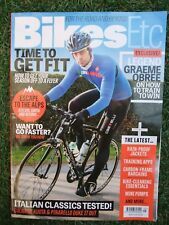 MBR MOUNTAIN BIKE MAGAZINE NOVEMBER 2016 Condition is Used. Dispatched with Royal Mail 2nd Class. 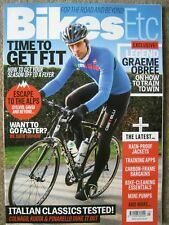 MBR MOUNTAIN BIKE MAGAZINE SEPTEMBER 2016 Condition is Used. Dispatched with Royal Mail 2nd Class. 1998 SNAP BMX MAGAZINE MINT CONDITION. BIKE ETCMAGAZINE #18, APRIL 2016. Plus Extra Magazine:COMPLETE SPRING TRAINING GUIDE. Magazines (Fashion /Cinema /Music /Photography / etc). Books (First Editions /Signed / etc). HERE WE HAVE. (probably). Once we have received your request we will then send you a unique authorisation code. 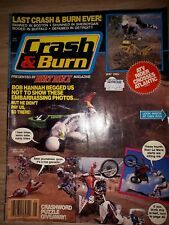 R are old school BMX mag. near mint condition.all pages intact. Very slight light creases and creased corners. all caused during storage. Most pages are spotless. BMX Bi Weekly magazine, UK. £2500 Aero bikes from Specialized, Fuji and Cervelo. Beat the big hills. Dr Hutch takes on the Lake District. KAWASAKI KLR1300! BAKKER FZR1000 QCS. DUCATI 900SS. DUCATI 851. BIKE SEPTEMBER 1988. KAWASAKI GPz1000RX v YAMAHA FJ1200. THE BLACK LIST BMW K100RS v HONDA CBR1000F. SIDEWINDER A BIT ON THE SIDE. 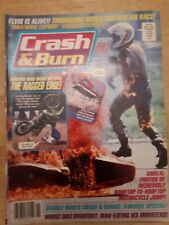 BIKE SEPTEMBER 1987. BERLIN ON A HARLEY DAVIDSON. SCHWANTZ vs RAINEY. YAMAHA R6 v 05 R6. HELLS ANGELS vs THE WORLD. BIKE DECEMBER 2005. BOLT ON MAYHEM 172mph WHEELIE BIKE. KENNY ROBERTS JNR SPEAKS OUT. BIKER JULY 1999. YAMAHA V-MAX. MOTO GUZZI SUPERALCE. -LINTO 500. -MOTOBI SPRING LASTING 200. -VELOCETTE LE 150. -ARIEL SQUARE FOUR. Once we have received your request we will then send you a unique authorisation code. How long will it take to get my item?. Buy it now Price: £5.08. Vintage 'Triathlete Magazine', September 1988. SWIM, BIKE, RUN. 'Triathlete UK Magazine', September 1988 in excellent as new condition. Vintage 'Triathlete Magazine', April 1988. Swim, Bike, Run. 'Triathlete Magazine', April 1988. In excellent as new condition. 220 TRIATHLON FEBRUARY 2019 ~ SWIM BIKE RUN MAGAZINE. KAWASAKI Z750. DUCATI M1000DS. BIKE MAGAZINE FEBRUARY 2004. BMW GS ADVENTURE. 220 TRIATHLON SPRING 2019 ~ SWIM BIKE RUN MAGAZINE. READ ONCE IN VGC.